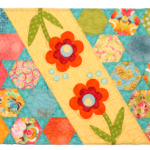 Home » Giveaways » The Stitch Pattern Giveaway! 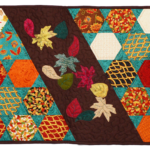 We’re so happy that so many of you have bought patterns or posted your favorites, so we wanted to give you an opportunity to win a PDF copy! We’ll have three winners, one winner for each pattern. Details on how to enter below. The giveaway will run from July 22 – July 30. You can tweet, comment, or post on Facebook for additional entries. Since there’s no shipping involved, the giveaway is open to anyone in the world. I have just recently found The Stitch TV show. It has been fun to watch. 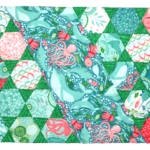 I think picking out fabrics/colors and free motion quilting would be good topics! Thanks! I assume that this is where I comment? I’m a little behind. Have you covered the best and worst things about publishing patterns yet? I am always interested in any tips or new techniques to accomplish more while sewing or quilting. I always love ideas on how to do things easier and faster. Old blocks, new ways. I would like to learn how to enlarge a pattern for a big woman. 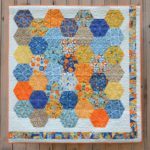 Getting over the fear of quilting- I am always worried I will ruin everything. 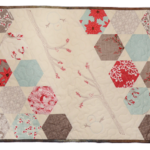 How about discussing how to find a good longarm quilter for specific needs. I love the show! Thanks for hosting a giveaway. 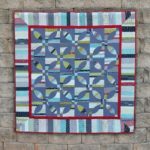 I would love to hear you guys talk about tackling quilting on a domestic machine. I’d always love to hear reviews of products, old and new.